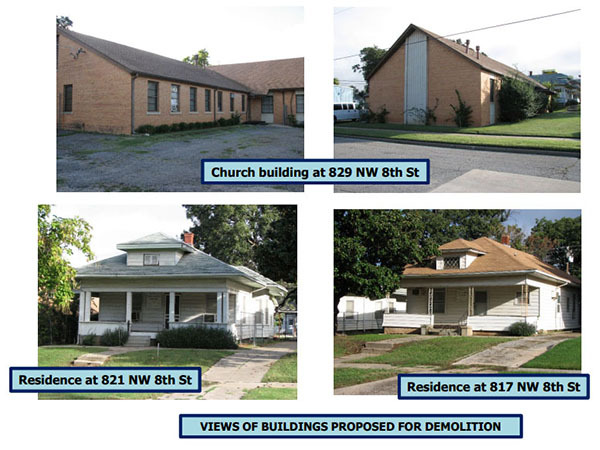 Currently, a church and two homes occupy the property and would be demolished to make way for the new project. 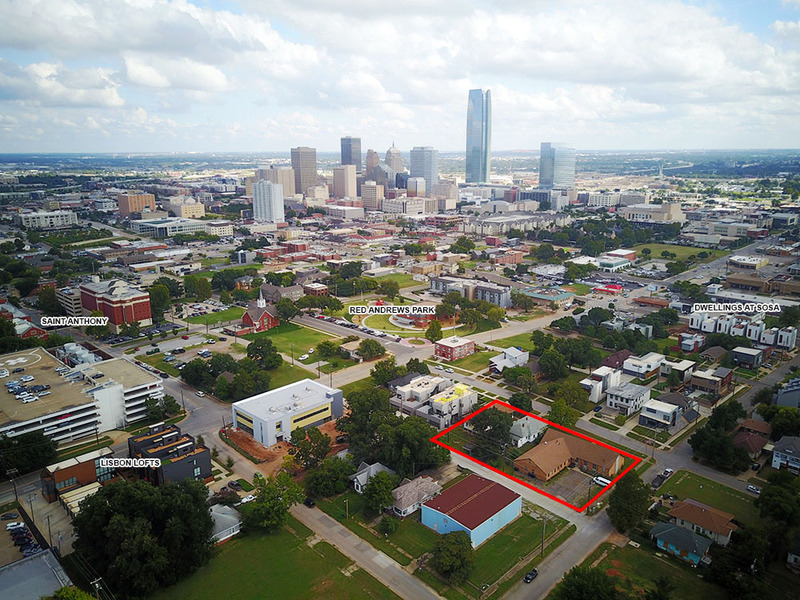 The homes would face NW 8th Street and consist of two levels consisting of approximately 1,250 square feet. 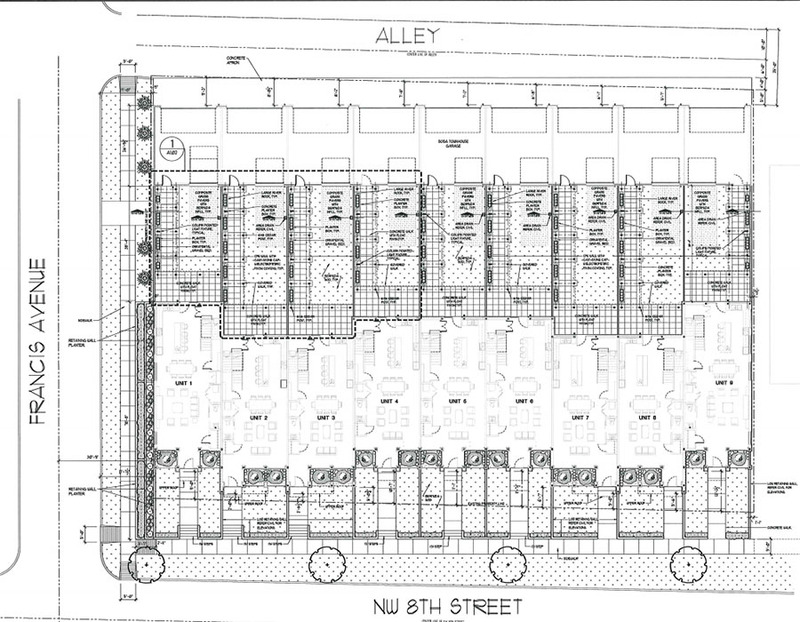 All would have 2-car garages facing the alley and connect to the living space via covered arbors through outdoor courtyards. Materials would be clad in modular brick with EIFS accent details. As the property sits atop a significant grade, rooftop decks will offer commanding views of the skyline to the southeast. The surrounding area is systematically being re-worked into new and renovated homes, most featuring modern architecture. Many surrounding homes have sold for $800,000 or more. 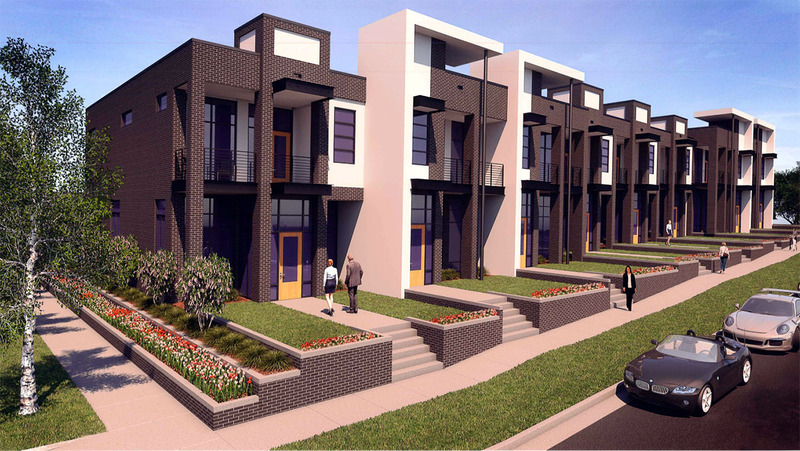 A similar project -- the Dwellings at SoSA two blocks to the south -- has recently welcomed its first residents and 5 of the 7 fully detached units have sold. A second phase should start soon. The 6-unit Lisbon Lofts was completed about 3 years ago to the north. Mike Girocco of Edmond is listed as the owner and design work is by RBA Architects. The plans will be reviewed by the committee on October 24th.